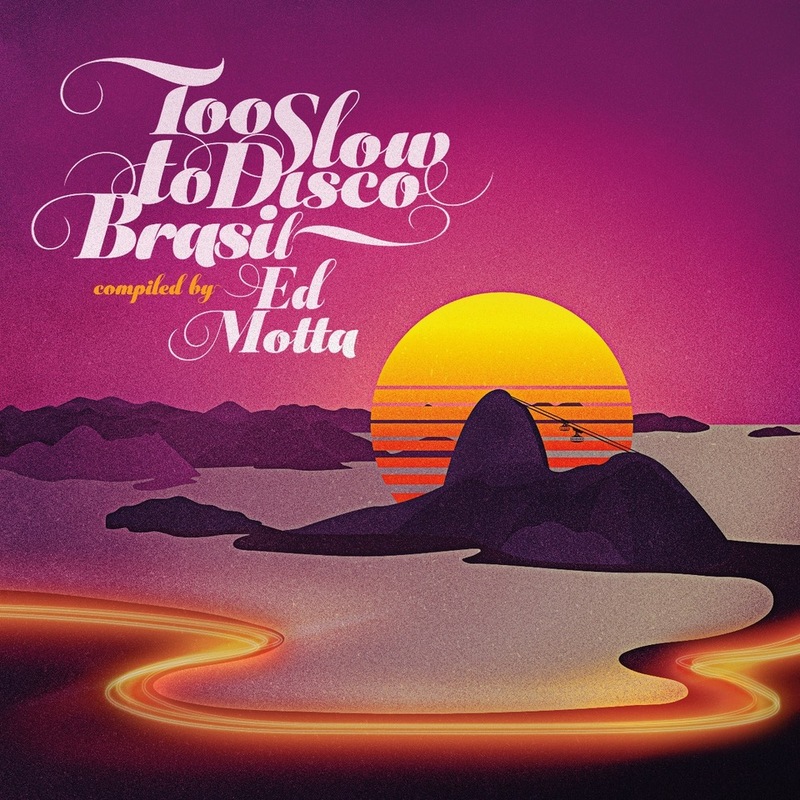 Too Slow To Disco Brazil Compiled By Ed Motta (Record Store Day Edition). Label: How Do You Are. It was back in 2014 when the German label How Do You Are released the first instalment in the Too Slow To Disco compilation series, which was one of the first compilation series to revisit West Coast sound, which provided the soundtrack to much of the decade. That was no surprise as the West Coast sound was slick and full of hooks. Trademarks of the West Coast were clever chord progressions and lush harmonies. This proved to be a truly irresistible combination, and why across America, radio station playlists were dominated by the West Coast sound. Sadly, like all good things, the success story that was the West Coast sound had to come to an end. However, since 2014, the West Coast sound has been on the comeback trail. A number of record companies have released compilations of the West Coast sound, which all of a sudden is back in fashion. That is partly thanks to the How Do You Are label, who have released three volumes of the Too Slow To Disco and The Ladies Of Too Slow To Disco compilation since 2014. These compilations have featured songs from familiar faces and new names, plus a number of hidden gems, and are among the best and most successful compilations of the West Coast sound released in recent years. Despite that, the How Do You Are label have decided to change things around for this year’s instalment in the Too Slow To Disco series. The West Coast has been left behind, and this year, the How Do You Are label are releasing Too Slow To Disco Brazil Compiled By Ed Motta. It made its debut as a limited edition on Record Store Day 2018 when it was released as a two LP set on 180 gram heavyweight purple vinyl. After that, everyone will need to wait to wait to the ‘4th’ of May 2018 to buy Too Slow To Disco Brazil Compiled By Ed Motta on CD or as a two LP set. However, it will be worth the wait thanks to compiler Ed Motta, who has dug deep and chosen some oft-overlooked Brazilian soul, funk and AOR. It was a bit a of coup for How Do You Are when Ed Motta agreed to compile the new instalment in the Too Slow To Disco series. Ed Motta who is the nephew of the late, great Tim Maia, first came to prominence in the late-eighties as a member of the band Conexão Japeri, who were a popular draw on the Carioca show circuit. This was just the start of the rise and rise of Conexão Japeri. In 1988, Conexão Japeri released their debut Ed Motta and Conexão Japeri, which showcased a talented band and featured several hit singles. These singles featured elements of soul, jazz and funk, and soon became favourites within Brazil’s pop-rock scene. However, this was the start for Ed Motta. Thirty years later, and Ed Motta has released fifteen albums and is a versatile musician who is equally comfortable playing Latin, jazz, funk, soul and AOR. Ed Motta has also worked with many top musicians, including Roy Ayers, Patrice Rushen, Greg Phillinganes, Ryuichi Sakamoto and Seu Jorge, and also 4Hero and Incognito. However, Ed Motta has also a wide knowledge of Brazilian music, so when Too Slow To Disco’s usual compiler was looking for someone to compile a compilation of Brazilian funk, soul and AOR, he seemed the perfect person. All it took was a brief phone call, and Ed Motta had agreed to compile the Too Slow To Disco Brazil Compiled By Ed Motta. It features nineteen tracks, including contributions from Filó MacHado, Sandra De Sá, Junior Mendes, Don Beto, Lucinha Turnbull, Carlos Bivar, Santa Cruz, Cassiano, Zeca Do Trombone, Roupa Nova and Brylho. They’re just some of the artists and bands that feature on Too Slow To Disco Brazil Compiled By Ed Motta. 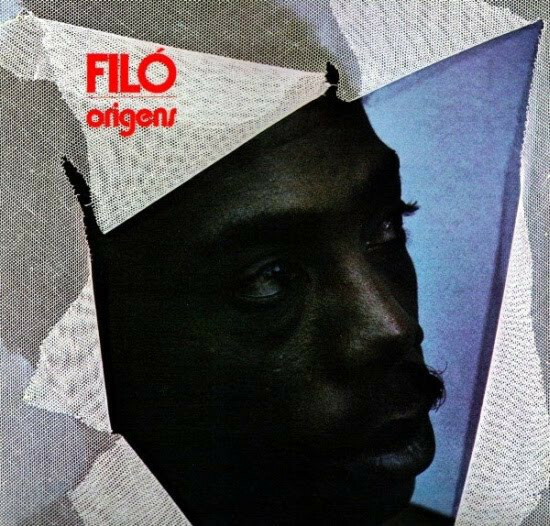 Opening Too Slow To Disco Brazil Compiled By Ed Motta is Filó MacHado’s Quero Pouco, Quero Muito which is taken from the 1983 album Origens, which was released on the Pointer label. It’s a funky and soulful track with an impassioned vocal, and is very much typical of the type of music that has featured on the Too Slow To Disco series over the past four years. Sandra Sá recorded the Ton Saga composition Guarde Minha Voz for her 1983 album Vale Tudo which was released on the São Paulo based RGE. 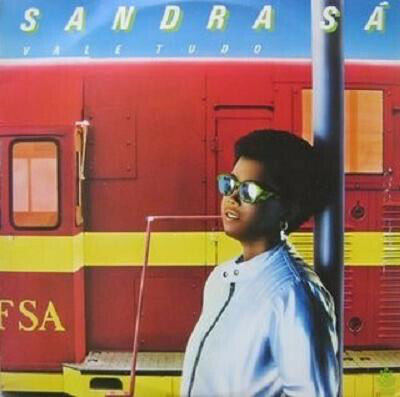 This was Sandra Sá’s third album, and Guarde Minha Voz was one of the highlight’s. It features a soulful vocal from Sandra Sá that is delivered against a carefully crafted arrangement where elements of funk and boogie are combined by talented band. They’re responsible for a melodic and memorable track. 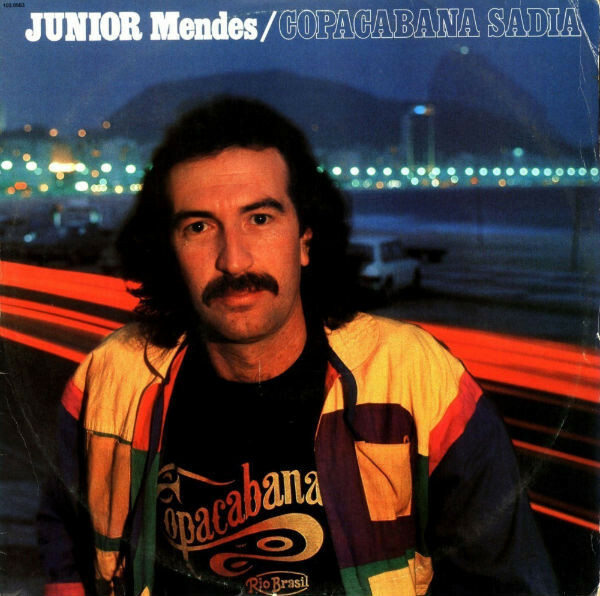 In 1982, Junior Mendes released his debut album Copacabana Sadie on RCA Victor. It opens with the irresistible and hook-laden title-track Copacabana Sadie that was penned by Castão Lamounier, Luiz Mendes Jr and Paulo Imperial. Horns and strings play their part in Lincoln Olivetti’s arrangement as Junior Mendes delivers a tender and heartfelt vocal. Sadly, there was no followup to Copacabana Sadie, which wasn’t a commercial success and nowadays original copies of this hidden gem of an album changed hands for £300. Lúcia Turnbull was born in São Paulo in 1953, and is the daughter of a Scottish father and Brazilian mother. When she was sixteen she moved to London, and joined the folk group Solid British Hat Band. Having returned to Brazil in 1972, Lúcia Turnbull formed the duo As Cilibrinas do Éden with Rita Lee, and later that year the pair joined the Tutti Frutti band. 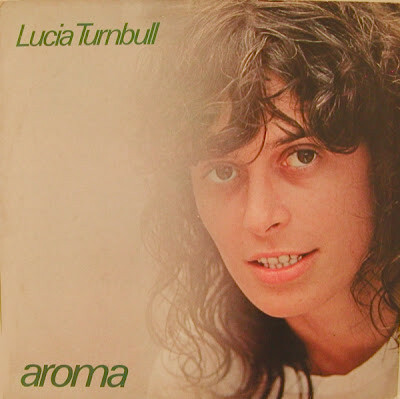 Three years later Lúcia Turnbull formed her own group Bandolim 1976, and in 1979 released her debut solo album Aroma on EMI. One of the highlights of Aroma is the beautiful MPB ballad Toda Manhã Brilha O Sol which features Lúcia Turnbull at her very best. 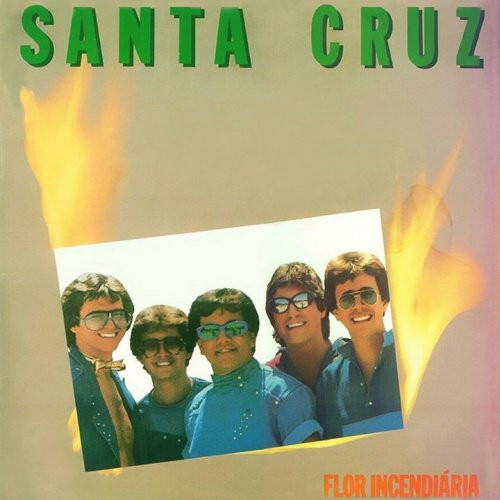 When Santa Cruz released their debut album Flor Incendiária on the Barclay label in 1984, it featured Mais Uma Chance. It epitomises the eighties sound as Santa Cruz combine elements of jazz, Latin and pop on this carefully crafted ballad. Sadly, there was no followup to Flor Incendiária and Santa Cruz like several artists and bands on Too Slow To Disco Brazil Compiled By Ed Motta released just one album. Jane Duboc’s recording career began in the seventies, and has spanned five decades. Nowadays, she’s one of the most successful Brazilian female vocalists. However, in 1982, Jane Duboc had just released her sophomore album Jane Duboc on the Som Da Gente label. It features the Se Eu Te Pego De Jeito where Jane Duboc delivers a vocal that is jazz-tinged and soulful. Meanwhile her band combine elements of funk, jazz and MPB on what’s one of the highlights of Too Slow To Disco Brazil Compiled By Ed Motta. In 1991 composer, singer and guitar player Cassiano released his fourth album Cedo Ou Tarde on Columbia. 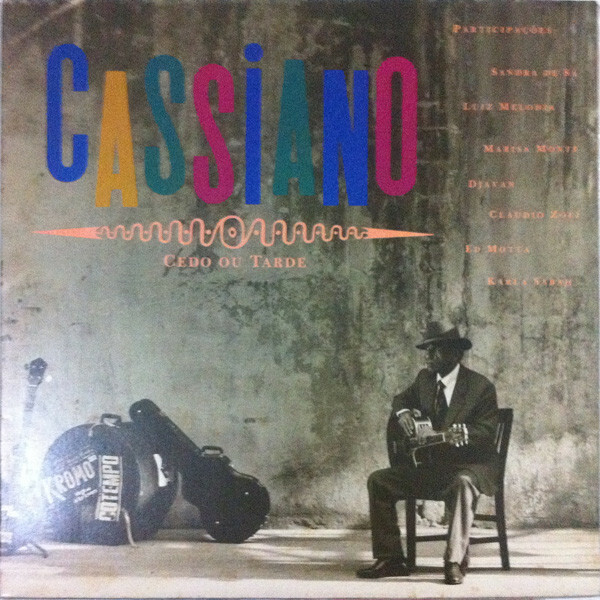 It was the first album Cassiano has released since 1976s Cuban Soul-18 Kilates. Sadly, Cedo Ou Tarde wasn’t the success that Cassiano had hoped, despite songs of the quality of songs like Rio Best-Seller. There’s hooks aplenty during this memorable and catchy fusion of funk, soul and MPB. By 1983, Zeca Do Trombone was an experienced musician who had spent over a decade working as session musician and had played on albums by Tim Maia, Ivan Lins, Taxi and Joyce. Zeca Do Trombone had also collaborated with Roberto Sax on the album Zé Do Trombone E Roberto Sax which was released in 1976. 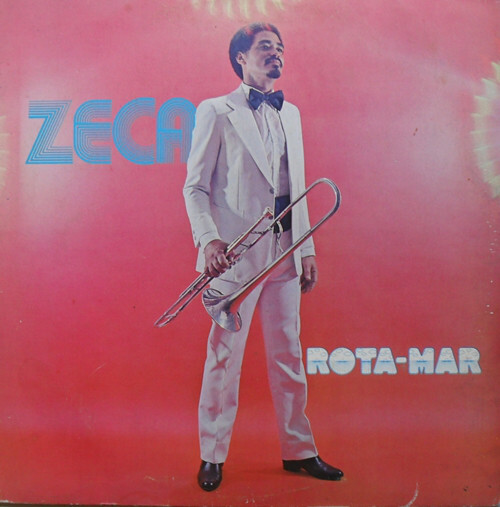 Seven years later, and Zeca Do Trombone was back in the studio recording his debut album Rota-Mar which was released on the Timbre label in 1983. It opens with the MPB ballad Rota-Mar where horns accompany and later replace Zeca Do Trombone’s vocal on this beautiful hidden gem. Comparisons have often been drawn between the Brazilian pop band Roupa Nova, and their American counterparts Toto. Both groups were also hugely successful with Roupa Nova selling eight million singles and albums, and enjoying twenty-five hit singles, including ten which topped the Brazilian charts. Roupa Nova’s career began in 1981, when they released their eponymous debut album. 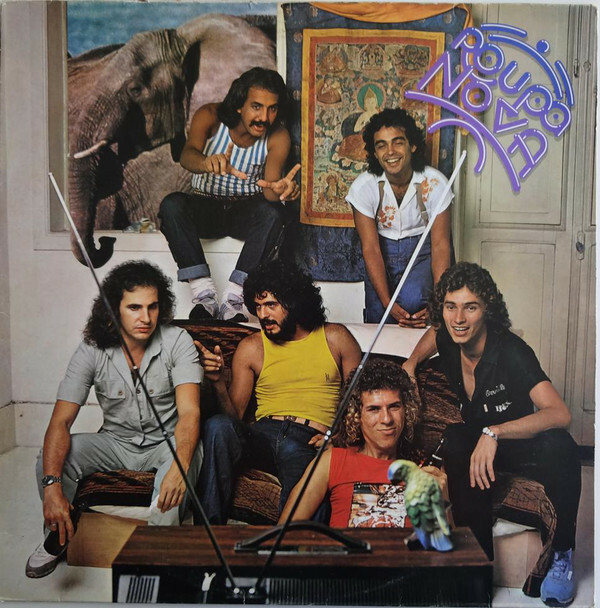 A year later, in 1982 they released their sophomore album Roupa Nova which featured Clearer which is a slick and irresistible fusion of pop rock and MPB. Brylho is another band that only released the one album during their career. 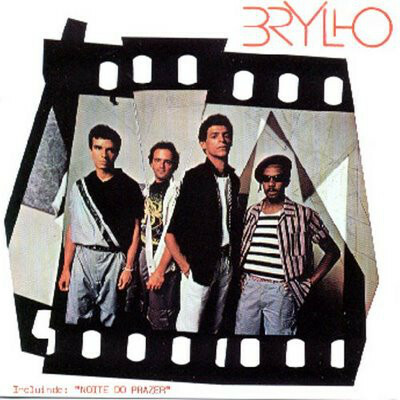 This was Brylho which was released on Elektra-WEA in 1983 and features the hook-laden Jóia Rara that is smooth, soulful and funky. 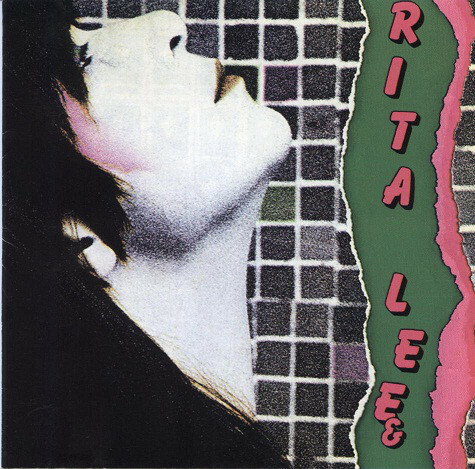 Closing Too Slow To Disco Brazil Compiled By Ed Motta is Rita Lee and Roberto’s Atlântida, which is taken from their 1981 debut album Saúde, which was released on the Som Livre label. Atlântida is very much of its time, with early eighties pop-rock, synth pop and MPB combining to create a track that is very different from the West Coast sound a decade earlier that feature on previous instalments of the Too Close To Disco series. However, Rita Lee’s breathy vocal plays a starring role in Atlântida which closes Too Slow To Disco Brazil Compiled By Ed Motta. After four volumes of Too Slow To Disco that featured the West Coast sound, it’s all change as the series heads to Brazil where Ed Motta compiles a compilation that features nineteen slices of oft-overlooked Brazilian soul, funk and AOR. Many of the artists and bands on Too Slow To Disco Brazil Compiled By Ed Motta will be new to many record buyers, while veteran of other compilations of Brazilian music may be familiar with some of the names. However, Too Slow To Disco Brazil Compiled By Ed Motta is a musical voyage of discovery and the perfect way to discover new music. While some of the artists and bands on Too Slow To Disco Brazil Compiled By Ed Motta enjoyed long and successful careers, others only released the one album which failed to find an audience. Many of these albums are now extremely rare and change hands for large sums of money, and the only way for most people to hear the music on these albums is on compilations like Too Slow To Disco Brazil Compiled By Ed Motta. It’s a welcome addition to Too Slow To Disco series, and especially the limited edition version of Too Slow To Disco Brazil Compiled By Ed Motta which was released on a two LP set on 180 gram heavyweight purple vinyl for Record Store Day 2018, which will be a prized item amongst record collectors and fans of Brazilian music. Too Slow To Disco Brazil Compiled By Ed Motta. ← STEVE YOUNG-TO SATISFY YOU.